Lord and I live in a small space with not much storage. So the office/spare room/studio/dumping ground has and was a bit of a mess. 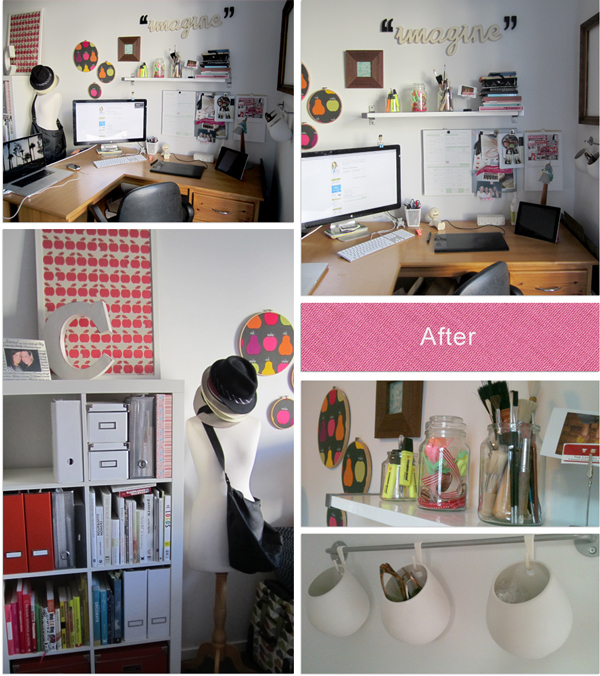 I endeavored to have some order with my paper work and have all my pictures and finds on the wall. But the room was over run by an un-organised plethora of junk, paperwork and Lord's tools. 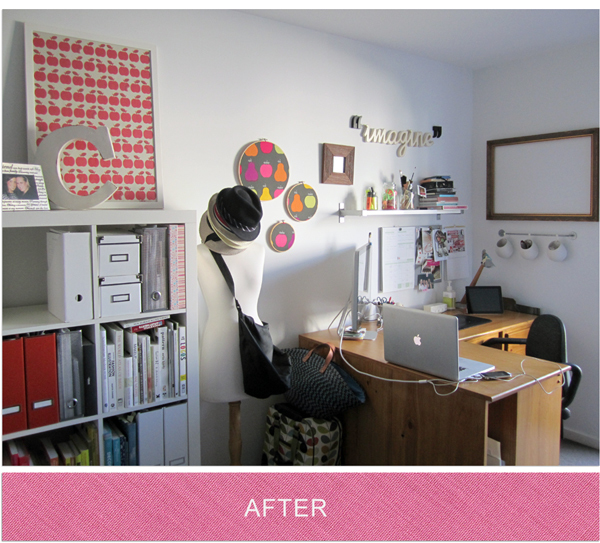 The aim to the mini makeover was file, organise and throw out anything we didn't need. 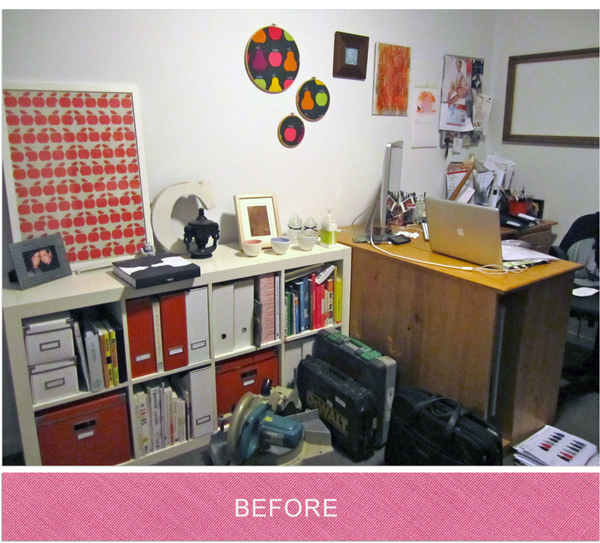 lift everything off the desk so that I has a clean and clear workspace and finally to unclutter. It is amazing what a forty dollar shelf can do to a room. Lifting everything off the desk has made such a difference. Sitting here, right now, I don't feel like I am been attacked by bank statements and bills. They all have their rightful place in folders in the book shelf. Which I turned upright and has given me so much extra space. I used old Moccona jars that I have collected for all my odd and bods. The "imagine" word, i bought about four years ago and have never popped it on the wall. Now it lives above my desk. I had so much fun doing this makeover. Did you do something over the holiday break that was similar?